Authentic relaxation in nature . . . Decompress, rejuvenate, & detoxify in the heart of a unique UNESCO Biosphere Reserve amidst the Acadian Forest! 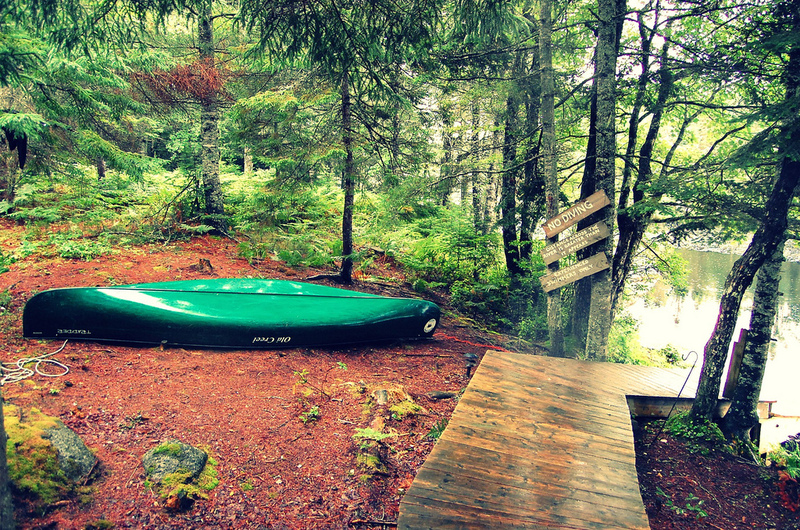 Guided interpretive experiences in the surrounding Acadian Forest ecosystem abound.. 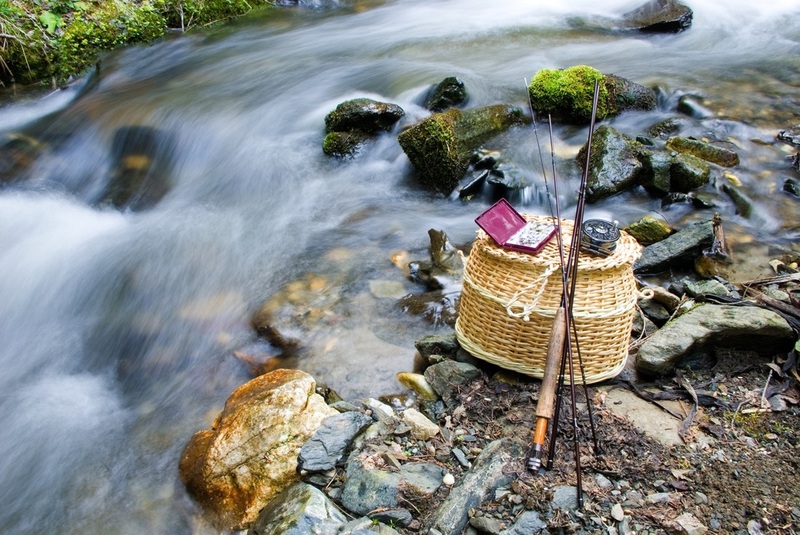 True to its name, Trout Point offers catch-and-release fishing for brook trout on site. Named among the world's top 10 fishing spots by the London Guardian newspaper, casting lessons and guides to show you some prime spots are available until the end of September. Enjoy a massage from Lori Smith, a Massage Therapist who is registered with the Massage Therapist Association of Nova Scotia. Start your day with an invigorating Sports Massage that energizes and warms up your muscles to get ready for fantastic hikes, kayaks and canoes! Or indulge in Lori's signature Relaxing Massage and melt your tension and cares away. For ultimate pampering, include a deep heat Paraffin treatment for your hands and feet that will leave your skin smooth and silky. Please contact our Front Desk (902) 761 2142 to schedule your appointment today. 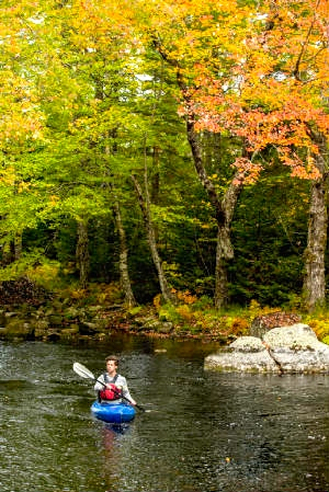 There's also guided hiking, mountain biking, and guided kayaking on the Tusket and Napier Rivers. "the Tusket still flows and gurgles below the lodge and out-buildings, ready for kayakers, canoeists, and – in late summer – swimmers. 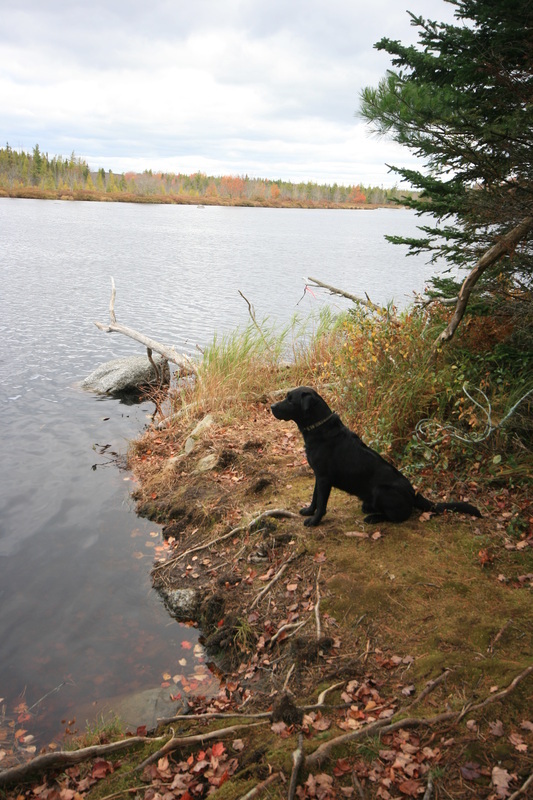 It is home to beavers, trout, waterfowl and wild cranberry bushes. 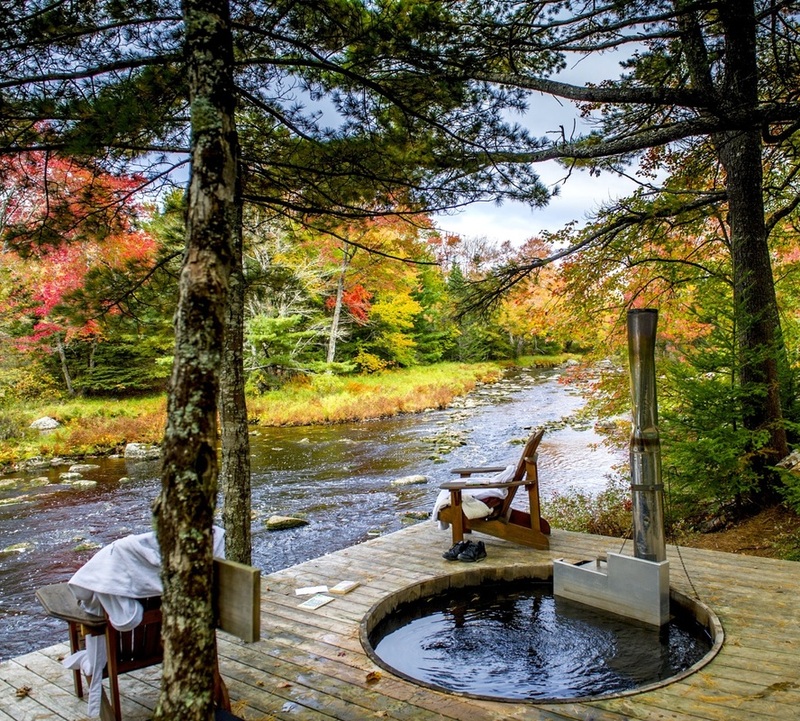 A wood-burning above-ground spa is a counterpoint to a crisp dip in the Tusket. An elevated walkway ends at a raised platform in a calming pool of the river with a 360-degree view of shoreline thickets and stands of white birch, ash, maple, hemlock and pine. By day, the solitude and silence there is encompassing; on a clear night, some of the darkest skies in North America reveal a sparkly dome of countless stars. 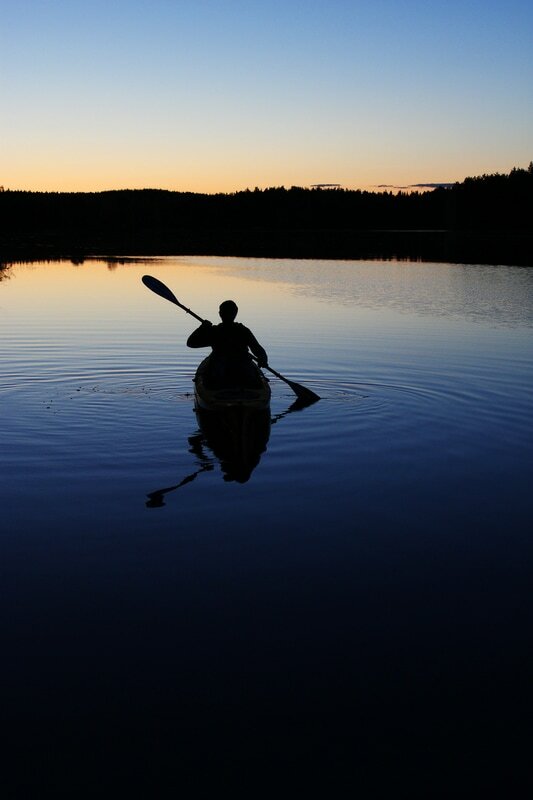 After a hike or paddle, rejuvenate with a revitalizing massage session. “For me, the place was so perfect, it was idyllic and it was an idyllic time. We met interesting people, and every night we had great conversations around the bonfire. Artist Karen Kulyk, whose recent exhibit "Arcadia" was inspired by the Tobeatic Wilderness and Trout Point Lodge. Located adjacent to the Tobeatic Wilderness, the lodge offers . 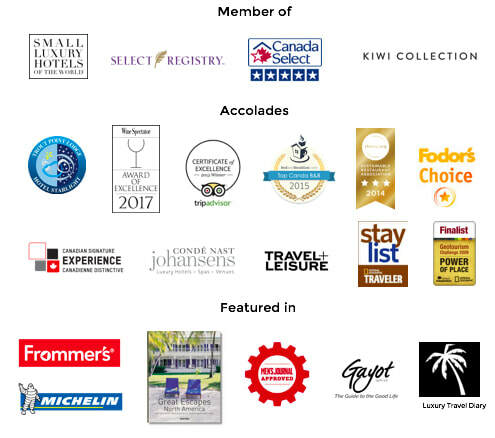 . . rooms and suites, a restaurant with cooking classes, and outdoor activities including canoeing, kayaking, stargazing, barrel sauna, wood-fired hot tub, hiking trails, and more. There is a resident astronomer as well as a stargazing platform and telescopes. A jewel set amidst Canada's most enchanting and pristine wilderness environment, at Trout Point uncompromising outdoor adventure meets luxurious accommodations, friendly service from local Maritime staff, unpretentious gourmet dining, massage, and extraordinary creature comforts. 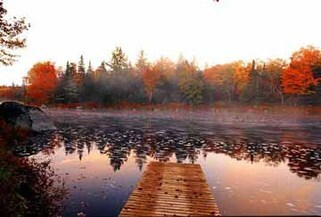 All this and more awaits you at this Super Natural paradise, just 35 minutes by car from Yarmouth, Nova Scotia. It's an unparallelled place to relax and rejuvenate! 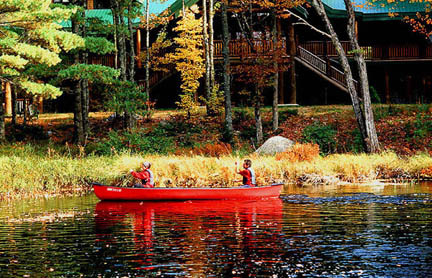 The Lodge also offers guided outings including kayak & canoe paddles, star gazing, fishing & casting lessons, hikes into the Wilderness Area, food forays, and 4X4 trips. Massage from staff Registered Massage Therapist Lori Smith can be arranged by appointment. You have the option of in-room massage, or in the tranquil massage therapy room at Beaver Hall. Cooking classes are available by the hour on most afternoons (reservations required), in addition to the Lodge's regular culinary vacation packages. Each day will be as active or still as you desire. Hear the Tusket River rapids from your room as you recline in hand-made Acadian log & twig furniture. Outdoor recreation beckons, including river & lake swimming, canoeing, kayaking, mountain bikes, & catch-and-release fishing. Experiences don't cease at night: after supper, the staff astronomer will lead guest to the new star-gazing platform for a unique perspective on the universe amidst skies lauded for their brightness & clarity. Next day, meander the woodland trails of our 100 acre estate & hike the adjoining protected area, which has rugged, wilderness-standard trails for either guided hikes or venturing on your own. 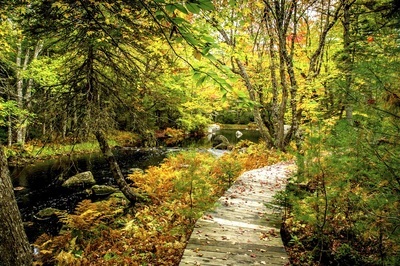 At the convergence of the Tusket & Napier Rivers, the Lodge borders the last pristine nature area in Nova Scotia. You may see black bear, turtles, flying squirrels, grouse, deer, beaver, owls, loons, eagles, and if you're in luck, moose (5 sightings in the 2014 season). Relax, stroll a nature path, soak in the riverside cedar hot tub, enjoy the adjacent sauna, or simply read a book on the porch.